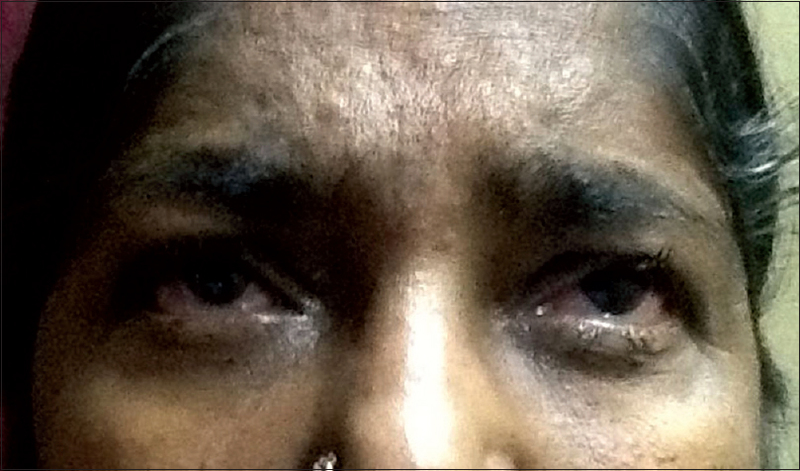 Dry eye syndrome or keratoconjunctivitis sicca is a disorder with reduction of tear secretion. In recent times, tear supplements form a major product by several pharmaceutical companies. 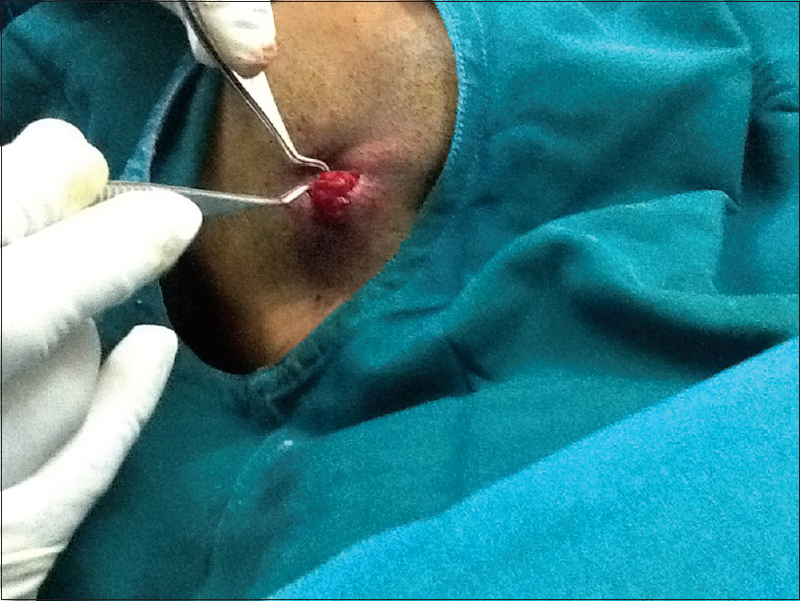 In earlier days, parotid gland duct transfer into lower fornix through subcutaneous route had been performed. Among the three pairs of salivary glands, submandibular salivary gland secretion has the consistency more watery and akin to tears. Since the transfer of it is autologous, no rejection occurs and tissue acceptance with the resumption of secretary property is immediate and permanent. Dry eye syndrome or keratoconjunctivitis sicca is a disorder with reduction of tear secretion. “Keratoconjunctivitis sicca” means “dryness of the cornea and conjunctiva” in Latin. This can result from Meibomian gland More Details dysfunction, allergies, pregnancy, postmenopausal, Sjogren's syndrome, Steven–Johnsons syndrome, Vitamin A deficiency, contact lens wear, post-Lasik, and certain medications such as antihistamines, some antihypertensive medications, hormone replacement therapy, and antidepressants more common in old age. In recent times, mild to moderate degree of dry eyes is prevalent among computer professionals. 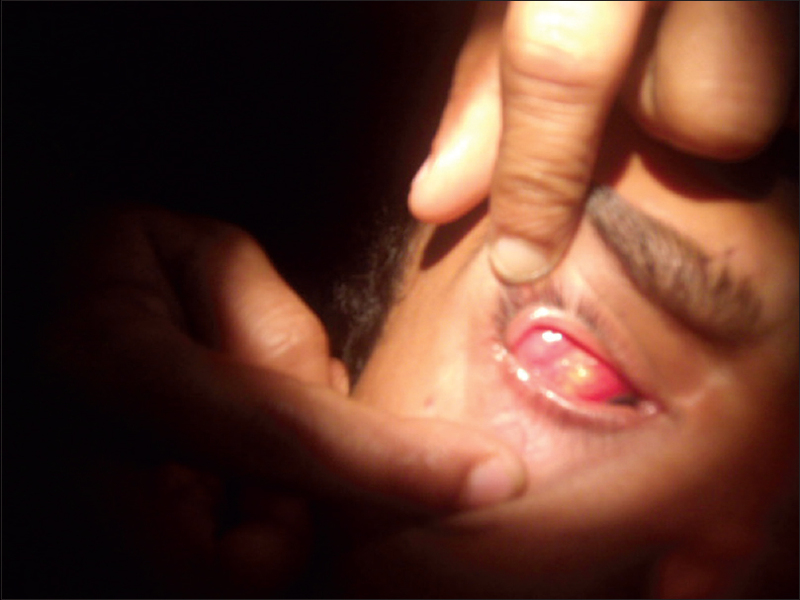 Any abnormality of the three layers of the tear fluid leads to dry eye symptoms as in blepharitis, mucocutaneous junction disorders, trachoma, and diphtheritic conjunctivitis maybe a symptom of collagen vascular diseases such as rheumatoid arthritis, systemic lupus erythematosus, polychondritis, and infiltration of lacrimal gland by sarcoidosis. 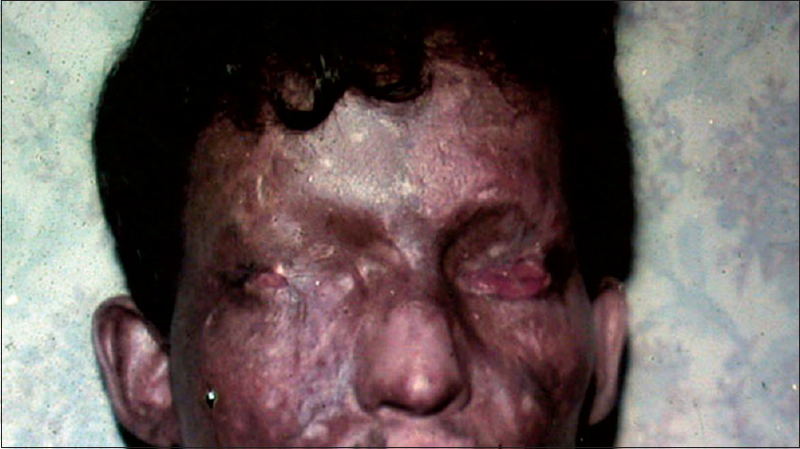 Severe degree of dryness can occur due to inadequate tear production as in congenital alacrima, atresia of the lacrimal gland, following chemical burns of the eyes [Figure 1]. 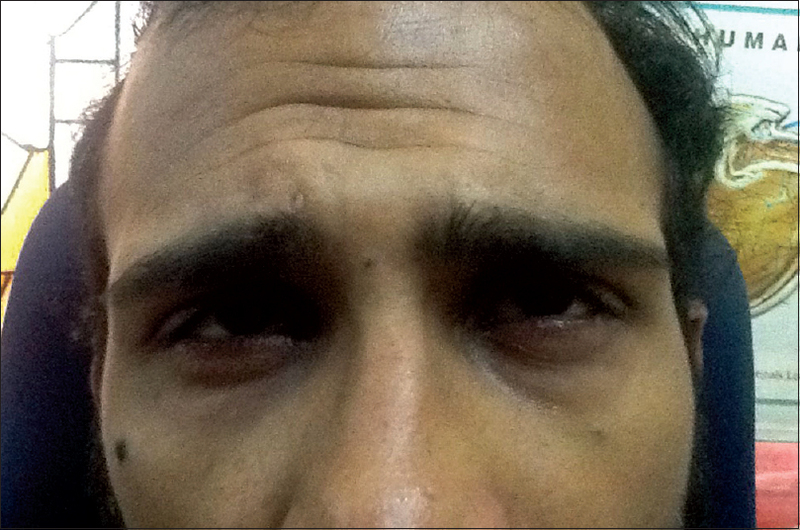 [Figure 2] shows postradiation fibrosis of lacrimal gland. Symptoms include irritation, redness, discharge, and easily fatigued eyes. Blurred vision may also occur with more frequent blinking and photophobia. When dry eye symptoms are severe, they can interfere with quality of life. 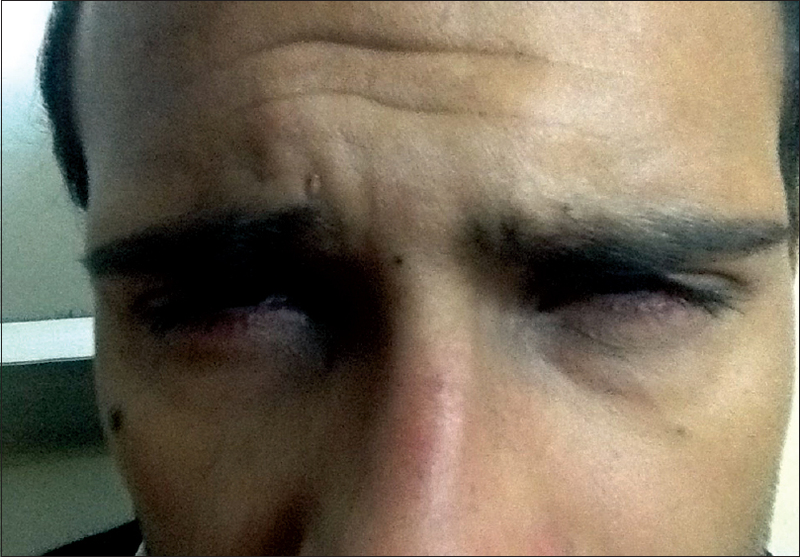 Some patients may have trouble keeping their eyes open [Figure 3] or they may not be able to work or drive. It affects 5%–34% of people to some degree depending on the population looked at. Among older people, it affects up to 70%. In China, it affects about 17% of people. Dry eye is common in the USA, especially so in older patients, estimated to affect 1 to 4 million, aged between 65 and 84. In advanced cases, the epithelium undergoes pathologic squamous metaplasia and loss of goblet cells. There is no way to prevent keratoconjunctivitis sicca. A variety of treatment modalities are recommended. For mild and moderate cases, use of lubricants is the most preferred treatment. Consumption of fish containing dietary omega-3 fatty acids is associated with a decreased incidence of dry eye syndrome in women. A randomized, double-masked study published in 2013 to evaluate the effects of a triglyceride of DocosaHexaenoic Aci), showed significant results compared to other methods that are being used. Mounting evidence suggests that inflammation is the key factor in the pathogenesis, with a complex interplay of genetic, environmental, and psychosocial factors. Management of these conditions is often challenging. Ciclosporin A is an immunomodulator that specifically inhibits T lymphocyte proliferation, and recently, a topical ciclosporin preparation has been approved by the US Food and Drug Administration (FDA). Topical ciclosporin A decreases surface inflammation. It should not be used while wearing contact lenses and long-term use of ciclosporin at high doses is associated with an increased risk of cancers. Corticosteroids also give good relief. In some cases, treating an underlying health issue can help clear up the signs and symptoms of dry eyes. Cholinergics such as pilocarpine and cevimeline, help increase tear production. These drugs are available as pills, gel, or eye drops. Xiidra is the first medication in a new class of drugs, called lymphocyte function-associated antigen 1 antagonist, approved by the FDA for dry eye syndrome. The safety and efficacy of Xiidra was assessed in over a thousand patients, in four separate, randomized, controlled studies. These studies included patients, 19–97 years of age, of which the majority was females (76%). Patients were randomized equally to receive either Xiidra eye drops or placebo, which were used twice a day for 12 weeks. The studies found that groups treated with Xiidra demonstrated more improvement in both the signs and the symptoms of eye dryness than the groups treated with placebo. In severe cases of dry eyes, punctual plugs are inserted into lacrimal puncta, or tarsorrhaphy may be performed leading to a reduction in tear evaporation. In neglected cases, symblepharon can occur with obstruction of vision due to loss of corneal transparency by membranous layer [Figure 4]. E 6/36 c-2.25/-2.00 × 180° → 6/9P. On syringing, both ducts were free. Rose Bengal staining was negative and Schirmer's test showed minimum wetting, (<2 mm). After general evaluation, he was assessed for general anesthesia, and surgery was performed under antibiotic cover. Subconjunctival pockets were made in the upper outer quadrants nearer to lacrimal fossa [Figure 6]. In the neck, incision was made 2 cm anterior and 2 cm behind from the angle of the mandible on the right side. The subcutaneous tissue was separated. Avoiding nerve fibers and blood vessels the submandibular salivary gland was identified by its granular appearance. 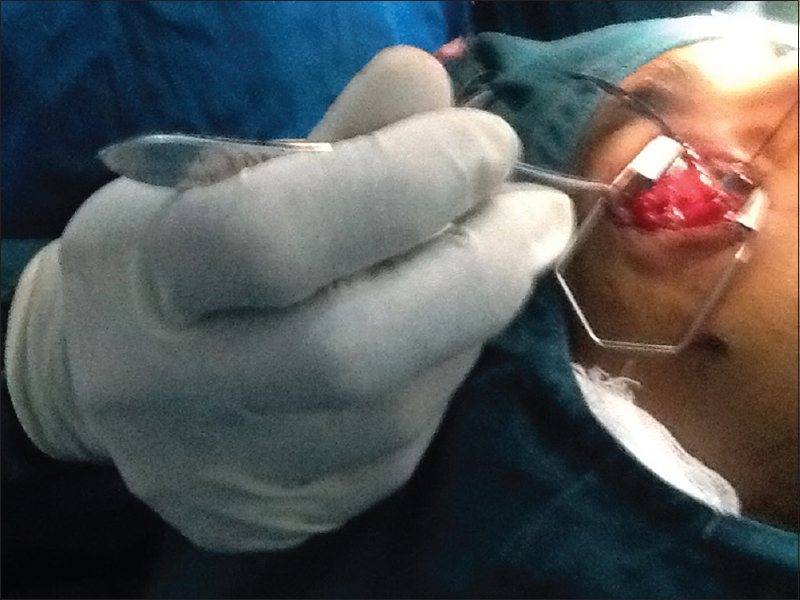 Partial excision of the gland was performed [Figure 7] and divided into two portions. 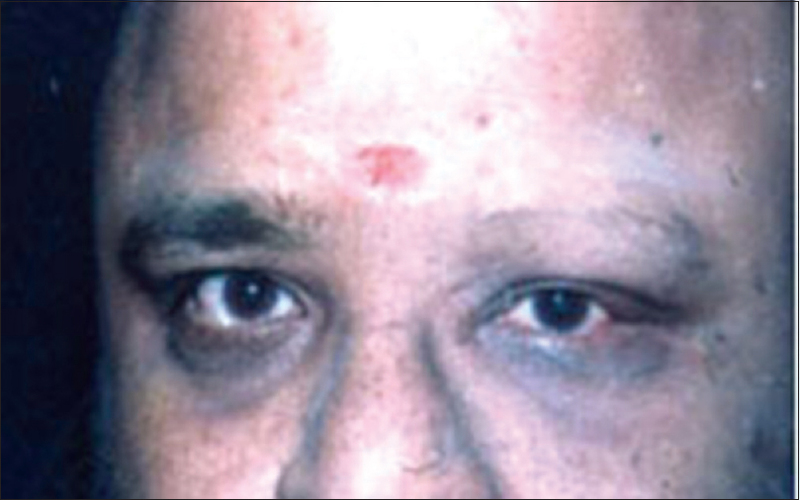 Each half of the divided glandular tissue implanted in both eyes [Figure 8] and [Figure 9]. The wound in the neck was closed by interrupted “5” 0 silk suture and the conjunctiva by single suture on each side. The very next day he could appreciate the improvement by walking freely in the sunlight [Figure 10] without wearing dark glasses and cap. His vision improved to 6/6 with his previous glasses and filamentary keratitis also disappeared. Schirmer's test done after 1 week and after 1 month was 6 mm. In recent times, tear supplements form a major product by several pharmaceutical companies. Congenital atresia of the lacrimal gland or any viral infections of the gland during childhood can lead to a severe degree of dry eye which is not amenable to the routine line of management with tear supplements and other supportive measures. The unmanageable cases need a different approach, which has to be natural and biocompatible. In earlier days, parotid gland duct transfer into lower fornix through subcutaneous route had been performed. However, following this procedure, the saliva pouring out of the eye, especially while eating, was unpleasant sight esthetically as the secretion was highly mucous and frothy. Among the three pairs of salivary glands, submandibular salivary gland secretion has the consistency more watery and akin to tears. Since the transfer of it is autologous, no rejection occurs and tissue acceptance with the resumption of secretary property is immediate and permanent. One of our cases operated more than 20 years ago is doing well. As a severe type of dry eye cases are rare and convincing them to undergo this procedure in many occasions is difficult because of their repeated hearing from several ophthalmologists and bigger institutions, that there is no cure for this condition, we could not perform this procedure even in deserving cases. In this case, the patient is an English teacher who had been suffering from childhood, consulted several centers already and frustrated with social stigma, he readily accepted for surgery. In very severe cases of dry eye syndrome, orbital implantation of submandibular salivary gland tissue is a novel procedure of choice with the natural revival of tear secretion. The authors would like to thank Prof. Dr. Chellam Balasundaram PhD., (Rtd), Professor of Animal Sciences, Bharathidasan University, Tiruchirappalli and Dr. Sathyan Asaithambi MBBS for critically going through the manuscript and valuable suggestions. We also thank Mr. B. Athikannan of G.K.S. Computers, Madurai for his secretarial assistance. Dry Eye Syndrome from Wikipedia. Available from: https://www.en.wikipedia.org/wiki/Dry_eye_syndrome. [Last accessed on 2004 Jul 07]. Michelle Meadows, May-June 2005. “Dealing with Dry Eye”. FDA Consumer Magazine. U.S. Food and Drug Administration. Archived from the original on February 23, 2008. Tatlipinar S, Akpek EK. 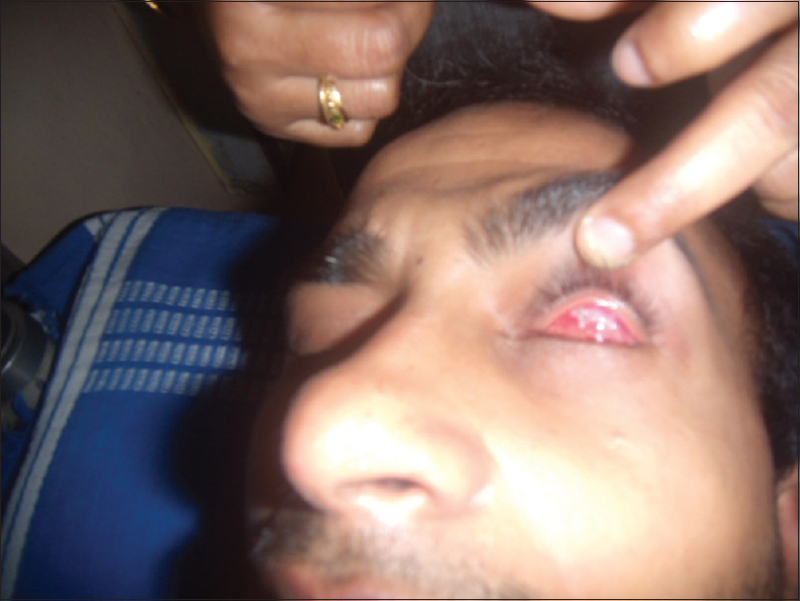 Topical ciclosporin in the treatment of ocular surface disorders. Br J Ophthalmol 2005;89:1363-7. American Academy of Ophthalamology. Basic and Clinical Science Course 2010-2011. Orbit, Eyelids, and Lacrimal System. Sec. 7. San Francisco, CA 94120-7424: American Academy of Ophthalamology. 2010. ”Dry eyes”. Mayo Clinic. Mayo Foundation for Medical Education and Research; 2006 June 14. https://www.fda.gov/NewsEvents/Newsroom/PressAnnouncements/ucm510720.htm. [Last retrieved on 2006 Nov 17]. ”FDA approves new medication for dry eye disease”. FDA; 2016 July 12. https://www.fda.gov/NewsEvents/Newsroom/PressAnnouncements/ucm510720.htm. [Last retrieved on 2016 Jul 13].